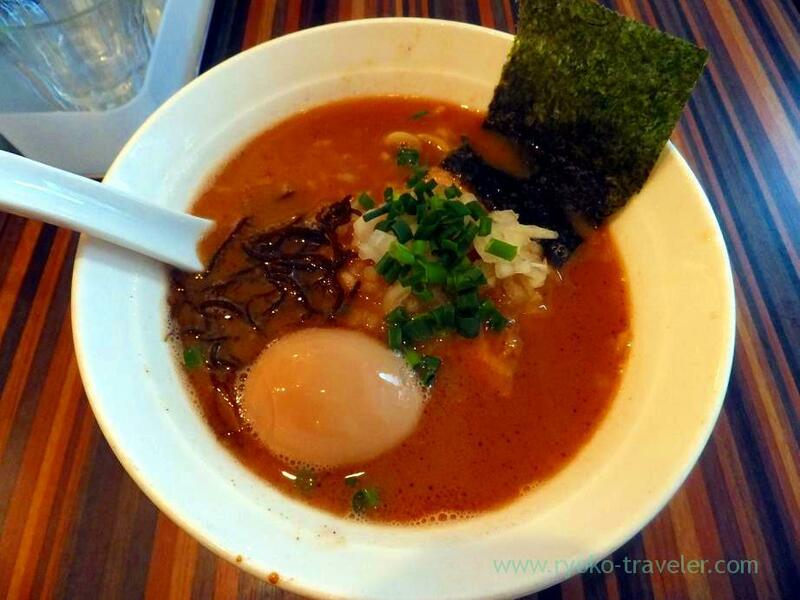 Ramen shop during lunchtime only. 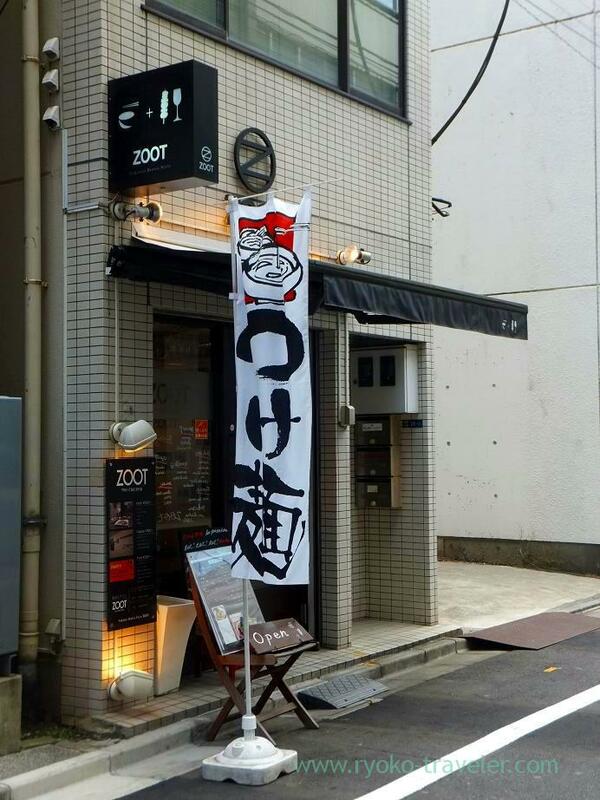 I had something to do at Hamamatsucho at Saturday, so I went to eat at ”ZOOT”. 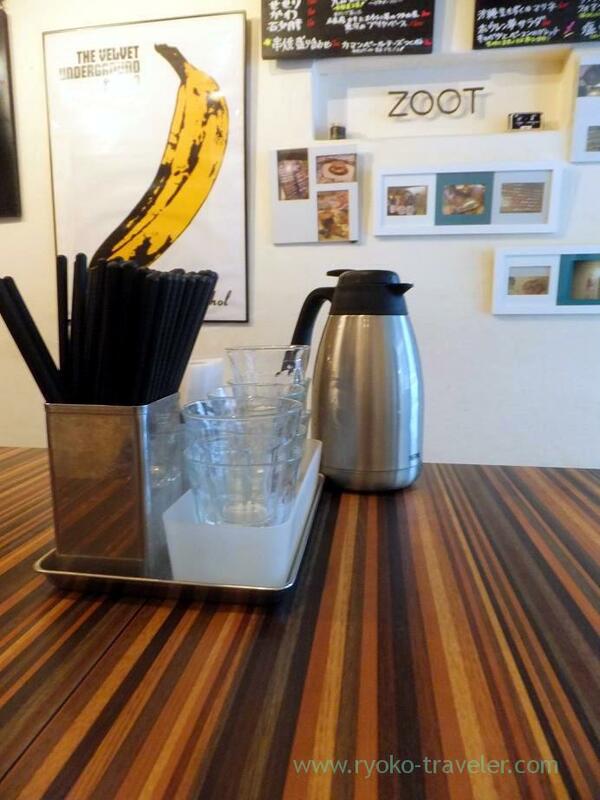 “ZOOT” serves ramen at daytime, and serves yakitori at night. Cool appearance doesn’t go with the flag “Tsukemen” :P.
If I went to there by myself, I think I walked through the front of the shop. No, I went to there by myself. My friend told me about the shop by e-mail. There is a bar counter in the rear of the shop ordinary. Every shop staffs were at the bar counter, so I must pay money at order. Looking the shop interior, ramen comes. It is not unusual that onions are used as topping. The half boiled egg is most soft than any other eggs that I had ever eaten. It was difficult for me to hold by chopsticks. roasted pork fillet was melty and soak it in soup well . soup, as you see.Very thick. It is made from pork(pork bone), fish and chicken. It operates as a yakitori shop and bar from evenings to night.